It’s not 1985 any more. It has actually been around 30 years since the Compact Disc came on the market, we all went out and bought Dire Straits “Brothers in Arms” on CD and were amazed at the crystal clarity of the sound. And with the invention of the CD came the digital audio standard: 16-bit sample depth, and 44100 Hz sample rate. This “standard” has stuck with us for an incredible amount of time. Since then, the professional audio- and video production community has more or less made the move up to High Definition, High Resolution sound. Studios now generally work in 24-bit and at sample rates of either 44100, 48000 (probably the most common these days), and sometimes even 96000 or, to be extreme, 192000 Hz. When you see this symbol attached to a product (be it an individual track or a ready-made collection), it means that this product is available in High Definition, 24-bit audio. We don’t charge more for the High Definition, 24-bit WAV files than we do for the normal, CD-quality, 16-bit WAV files. You’ll notice the “HD” logo showing as part of the track description, and you’ll notice that some (or all) of the WAV versions are now called (wav24) instead of just (wav). The (wav24) description means that with this purchase you will be able to download a .zip file that contains the chosen music track/version in two files: One high definition 24-bit file, and another file with the same music in “normal” CD-quality, 16-bit sound. Just in case some of our customers are still working with editing equipment or media players that cannot handle 24-bit sound. Though some, in their eager to supply customers with fancy 24-bit files, might be tempted to simply convert existing 16-bit files up to 24-bit, we never do this. Converting a file from 16-bit to 24-bit (“upsampling” it) does no good at all. It does not improve the sound quality over the 16-bit version. It merely increases the filesize. It’s important for us to stay honest about this and be transparent about what music was actually produced, recorded, mixed and mastered in 24-bit, and what music was not. Whenever you see the “HD” logo on our site and you see music offered in 24-bit High Definition audio, that music was always created (recorded, mixed, mastered) in 24-bit resolution. We have asked all our contributors to “get with the times” and to work in 24-bit format as much as possible from now on. As of January 2010, we at Shockwave-Sound.com are pleased to announce that we are introducing a new level of audio quality for royalty free music users. We’re releasing all our new music — and some of our back catalogue — as High Definition, 24-bit WAV audio files. It has been almost 10 years since our launch in March 2000, and in that time there has been a general move towards bigger, better media. Video has moved from standard resolution to high definition. File sizes have grown tenfold, and both professional and consumer oriented media production programs have become better and better equipped to deal with images, video and audio of higher and higher resolutions. As I’m writing this, there are no other royalty-free music shops or sites that offer high definition 24-bit stock music, that I’m aware of. Doubtlessly, others will follow. Pretty much the same thing happened about 5-6 years ago when we were the first to start selling uncompressed WAV files in full CD-quality while the norm was that royalty-free music generally came as MP3 or, on Audio-CDs that you had to wait for and receive them physically by post. What is High Definition Audio? I’m not going to turn this into a very complex discussion on ‘audiophile’ issues but I would like to take one minute to talk about what the difference between a “regular” 16-bit WAV file and a “high definition” 24-bit WAV file means. 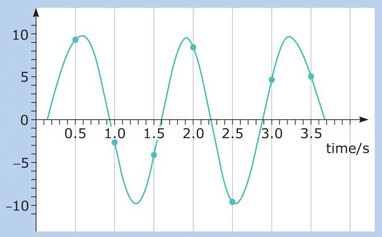 As we know, audio exists as fluctuations in pressure, or “sound waves”. These waves are really completely analogue, meaning that they are “natural” and soft sound waves that moves through the air. The concept of “sampling” audio means that we capture a series of “moments” in the sound wave, and each time we capture that moment, we store that moment as a number in RAM (or on hard disk). When we talk about 44100 Hz (or 44.1 khz) sampling rate, we mean that we “capture the moment” in the sound wave 44100 times per second. We can then re-create the audio by playing back all these “captured moments” in the same order they were captured. This is how we “sample” a sound and play back the sample. Now, the other value that’s worth noticing here is the vertical scale. The finer the resolution of this scale, the more accurately we are able to capture each moment of sound. 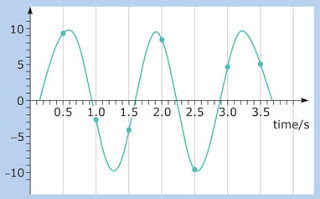 This value is known as the bit depth and like the sample rate, it determines how close to the original, true sound wave we are able to recreate the sampled sound. Why is the bit depth so important? Because the higher the bit depth, the more precise each sample can be measured. It’s no good sampling the sound 100,000 times second if, every time the sound value is stored, it cannot be stored using a precise value. With a bit depth of 16, each sample can be stored by using a number from -32,768 to +32,768. That’s 65,536 possible different values that each sample can have. And with a bit depth of 24, each sample can be stored using any value from -8,388,608 to +8,388,608. That’s a total of 16,777,216 different values that each sample can be stored at. The good old Compact Disc, launched in the 1980’s, set a very strong standard when it came on the market. The Compact Disc (CD) operated with a sample rate of 44100 Hz (44.1 Khz) and a bit depth of 16. This is why, to this date, we always refer to “CD quality sound”, when we mean that the sound has been captured 44100 times per second, with 16-bit depth (i.e. values between -32,768 and +32,768 each sample). Audio folks also refer to this as (16-bit 44khz), or simply 16/44. Since then, new technologies have implemented higher sample-rates, such as 48 Khz (48000 samples per second), 96 Khz, or even 192 Khz in some extreme cases. And these days, even cheap video and audio processing software can easily handle 24-bit audio. However, the “CD quality” audio at 16-bit, 44.1-khz is stubborn! It has dug its way into our psyche as “full CD quality”, as if in some way, that’s the best we’ll ever get. Today, though, more and more people work at 24-bit. Most of our contributing music composers/producers have already produced their music at 24-bit for a couple of years. It’s just that we, like others, have actually downgraded the audio to 16/44 before putting it up for sale. Why? Well, file sizes for one. A file at 24-bit is 50% larger than a file at 16-bit. So whereas stereo audio data 16/44 uses approximately 10 MB per minute of audio, 24-bit is up to about 15 MB per minute. And if you also increase the sample rate from 44.1 khz to 48 khz, then you’re increasing the file size by another 10% or so on top of that, so then you’re up to approx. 17 MB per minute of audio. But that’s not all. Because we also have to cater for those who cannot use the 24-bit file, we have to include the 16-bit file too. So that’s another 10 MB per minute of audio, and now we’re up to about 27 MB for each minute of audio. For a 5-minute music track, delivered in 24/48 and in 16/44 you’re looking at around 135 MB file size. That’s not peanuts, when you consider that a music library such as ours have thousands of music tracks, often times also available in several different versions, mixes, cuts and edits. If this 5-minute audio track is also available in three different mixes (say, a version without vocal and a version without drums? ), then you’d be up to an incredible 405 MB of files, just for this 5 minute track. And we still haven’t counted the loops! It goes without saying, the demand for web server space is enormous (Terrabytes are flying!) and the same goes for the traffic volumes (i.e. the amount of data that has to travel from our server to all the thousands of people who use the website and download audio). 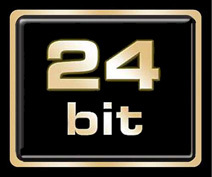 Nevertheless, we are now moving to 24-bit, and you’ll see all our new music coming up on the site in 24-bit. We’ll also try to work our way through some of the back catalogue and, where possible, add 24-bit files to the webserver. This will take time, though, as we’re pretty much already working flat-out here and, we ask for your understanding that not all the older music on our site was actually ever produced in 24-bit. Some of it was recorded, mixed and mastered in 16-bit from the beginning, and in those cases, it would be pointless to add 24-bit files. We won’t convert a 16-bit sound file up to 24-bit. We’ll only offer 24-bit files where the music has actually been produced in 24-bit from the beginning. In some cases, you’ll see that some versions of the track (for example, “full length version”) is available in 24-bit, but the other versions (such as “set of music loops”) is only available in 16-bit. This probably means that the composer/producer sent us his track in 16-bit. We then used that 16-bit file to create the loops. Now, when we later asked the composer/producer to send us the 24-bit file, he sent only the regular, full-length version. And it would be a pretty hopeless task for us to edit the same versions/cuts/loops again. So – in this case we’ll simply add the 24-bit file of the normal full-length version, whereas the other “edited versions” (60-secs, 30-secs, loops) remain only in 16-bit. Not all software can handle 24-bit audio files. I believe, for example, Windows Media Player cannot play a 24-bit sound file. Because of this, we will always include the 16-bit file as well. That’s why, when you see a version described on our site as (wav+wav24) it means that the download is actually a .zip file which, when opened, you’ll find two WAV files inside. One WAV file is at 16-bit, 44.1 khz (good old trusty “CD-quality”) and another WAV file is at 24-bit, and either 44.1 khz or 48-khz. We hope, and think, that this can help your project sound better! Thanks for reading.